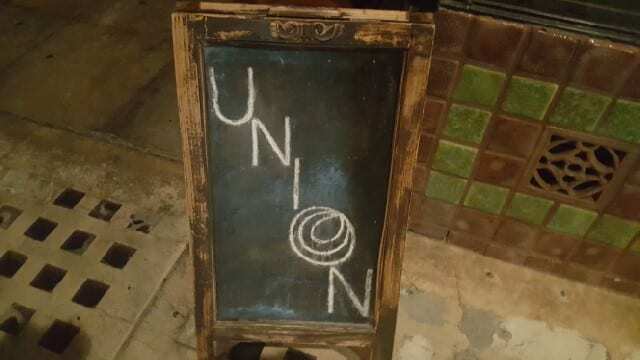 Ever since Chef Bruce Kalman opened Union in Old Town Pasadena in 2014, it had been at the top of my list of restaurants to visit. I had tried his fresh, home made, delicate pasta dishes at various food and wine events around town but just could not seem to get myself across town to Pasadena. But finally I did and it was everything I anticipated and more. The holidays are coming which means it is time for bubbles! Any day can be a good day for a glass of bubbly. However, this is the time of the year when sparkling wine consumption is at its highest. It is the time to head to your local wine shop to pick up some bottles of sparkling wine for your holiday parties and to give as gifts. When you think sparkling wine, there are so many choices. So, I reached out to some of my sommelier friends on the West Coast to find out what they suggest to drink for the holidays and what foods to pair with them. From Grower Champagne to Cremant (sparkling wine from France) to Cava from Spain, Lambrusco from Italy and a few other gems, the world of sparkling wine is more than Champagne. When you are shopping for sparkling wine this year, think a little bit outside the box and have fun! Cheers! Nathaniel is a Los Angeles native who garnered his love of service and wine along California’s Central Coast, working in Santa Barbara, Santa Cruz and Carmel-by-the-Sea, where he helped earn and maintain a Forbes Travel Guide 5 Star Rating from 2014-15 at Aubergine at L’Auberge Carmel. Nathaniel recently earned his Advanced Sommelier certification through the Court of Master Sommeliers and currently holds the Wine Director position at Rose Café Restaurant in Venice, California. What Nathaniel loves about sparkling wines is that “their energy always brings a smile” and he suggests a sparkling wine from France, a Cava from Spain and a Champagne for your holidays. Rob Renteria has been a sommelier in the Bay Area since 1995. He started his career in San Francisco as a sommelier and cellar master at Rubicon, before moving on to Bacar and then Eos. In 2005, he moved to Napa Valley as Wine Director at Martini House in St. Helena. He then later moved to Redd in Yountville, in which Wine Enthusiast Magazine ranked his wine list as one of the Top 100 in America. In 2009, he founded Analog Wine Company, a negociant wine label in Napa Valley. He returned to San Francisco in 2012, where he is currently the sommelier at La Folie. Rob is known as the “angrysomm” on social media which he started in response to inflated wine prices. As he explained, “I am a working class man looking for value in wine” and his sparkling suggestions for the holidays are just that. After a decade on the retail side of the wine industry, Stephanie is back in the restaurant game at Seastar, one of the premier seafood restaurants in the Northwest. Stephanie has certifications through the Court of Masters Sommelier, the Society of Wine Educators and the Wine and Spirits Education Trust. Stephanie may work in a seafood restaurant but she is not “shellfish” about sharing her sparkling wine favorites. Always a fan of vintage Champagne, when it comes to the holidays, Stephanie suggests a domestic sparkling wine, Champagne and a little known sparkling wine from France. Raised in Philadelphia, Mary Thompson has worked in top restaurants around the country, including famed Philadelphia restaurant Brasserie Perrier under Georges Perrier, Portland’s Paley’s Place and RiverPlace Hotel and New York’s Jean-Georges Vongerichten’s Spice Market, Telepan, and Daniel Boulud’s db Bistro Moderne. Mary Marrelocated to Los Angeles in 2006, working at STK, Chaya Downtown, Wokcano, Rivera and then Koreatown’s Saint Martha, where she received rave reviews. LA Weekly Food Critic Besha Rodell was quoted saying “…Sommelier Mary Thompson has built an extraordinary roster that veers from the Loire to Baja to Lebanon to Texas, making it very difficult to walk in with your heart set on something safe and boring. Give yourself over to the freewheeling fun of the list — everything is available by the taste, glass, carafe and bottle — and you’re in for a good time.” And LA Times food critic Jonathan Gold was quoted saying, “It is hard to imagine Saint Martha without its sommelier Mary Thompson, whose eccentric wine list is as much a part of the restaurant as Erven’s cooking.” For Mary, “it’s much more interesting showing people how to have fun with wine, rather than being a stuffy sommelier in a three-piece suit.” Mary has earned her second-level certification from the Court of Master Sommeliers, attained the title of Certified Sake Advisor from the Sake Service Institute of Japan, and is earning a degree in viticulture and enology from the University of California, Davis. Given her eccentric taste in wine, her favorite sparkling wines for the holiday season surprisingly do not feature any traditional Champagne picks but instead bubbles from other parts of the world: Italy, Portugal & Germany. “This is a very festive wine of a deep crimson purple color, lively mousse and black raspberry richness on the nose. Made from Salamino, Mmarani, and Ancellotta, Lambrusco grapes indigenous to Emilia, this wine is a far cry from the sweet styles so prevalent in America in the 1970s and 1980s. It is medium-bodied with richness and concentration but finishes bone-dry. It is small-production, 100% estate bottled and is not subjected to stabilization or pasteurization. This wine can easily move from the Thanksgiving dinner table to a New Year’s celebration.” It is available exclusively at top restaurants/retailers in Los Angeles, San Francisco and New York or available on Amazon for $20, plus shipping. “Vinho Verde, the most popular white wine from Portugal, is a deliciously refreshing, light wine. ‘Verde’, meaning ‘green’, refers to the hints of lime color. Launched in 2005 by British wine critic and writer Michael Broadbent and son, importer Bartholomew Broadbent, this Vinho Verde has quickly earned the reputation as one of the finest Vinho Verdes. This wine made from Loureiro, Trajadura, and Arinto is fresh and Spritzy with notes of guava, lemon and yellow apple. The price makes this a perfect wine for entertaining large groups and can easily be an aperitif, used in a toast and drank throughout the evening, as its alcohol is only 9%.” Available at wine.com for under $9. “I discovered this gem on a recent trip to Germany and I immediately brought a bottle to bring back to the US. This is a saignée method rose of Pinot Noir (or Spatburgunder, as they say in Germany) and then later Traditionelle Flaschengärung (or bottle fermentation, as we say). The red fruity aromas are typical and bring to mind raspberry and strawberry. Soft elegance and a lively structure come together in this Rosé.” $18, visit wine-searcher.com to find a retailer near you. The world of wine is vast. From regions to varietals to producers, there are thousands of wines to choose from. Consumers are inundated with choice and it is very common and comforting to revert to a wine one is familiar with. But with so many options and variations, there is not one wine that will fit every occasion or cuisine. With extensive knowledge about food and wine pairings, it is the responsibility of the sommelier to build a wine list that matches a restaurant’s menu, and engage and challenge the customer without intimidating them. When building a wine list for a restaurant, while it seems like an obvious statement, it is best to select wines that fit the cuisine and the restaurant concept. “It does not make sense to have an all Italian wine list with Thai food or only Rieslings for white wines at a steakhouse,” says Ben Teig, wine director at Redbird in downtown Los Angeles. A sommelier can be indifferent and select commercial name brands to put on their list, with the argument that it’s what their customer wants. But, does the customer really know that particular wine? Could they pick out that specific wine in a blind tasting or even describe what it tastes like? It is possible, but more often it is a comfort in brand familiarity. At Fundamental L.A., Kemper approaches the wine list by introducing unique elements with familiar varietals. Selling wine is a team effort and staff training is valuable. With knowledge and understanding of the wines on the list, the servers are an extension of the sommelier. To train her staff, Thompson prepares a customized tech sheet for each wine, including photos of the bottle, a winemaker or vineyard image, and a silly story or anecdote. With these sheets, she creates a notebook and each staff member gets a copy and are encouraged to add their own notes. Kemper also provides information on each wine and a list of key things that each staff needs to memorize: body (light, medium full), driven by (earth, fruit, mineral), and tasting notes (no more than three things). “This gives them the ability to talk to guests and help them find wines based on their preferences,” she says. Having the staff taste wines is also important. Teig offers a voluntary monthly staff training where they taste the wines and go in-depth about how wine is made, the different regions and varietals. With the vast wine choices available, we rely on the sommelier to enhance the dining experience. The sommelier holds the key to unlocking the world of wine and through thoughtful creativity and education, this door can be opened for all customers.